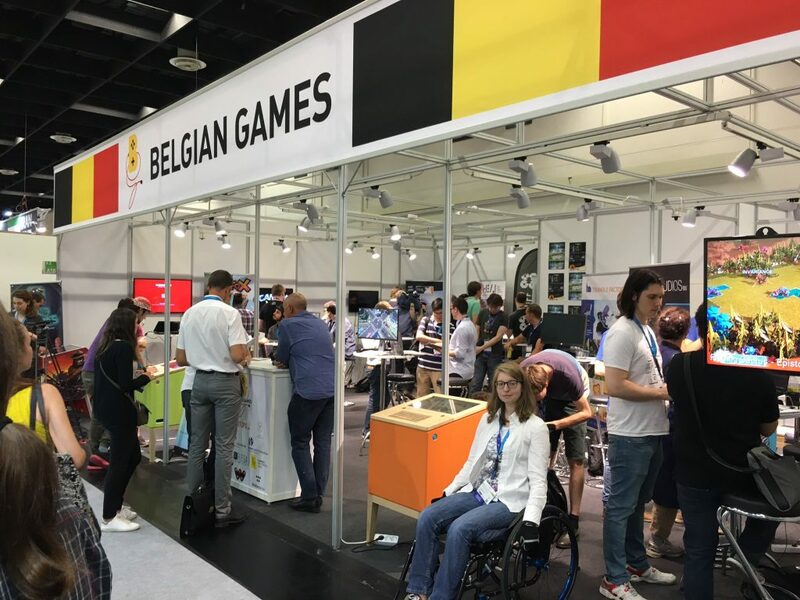 We had a wonderful time a gamescom last week and we are happy to announce that, just like last year, the Belgian Pavilion had a ton of visitors. 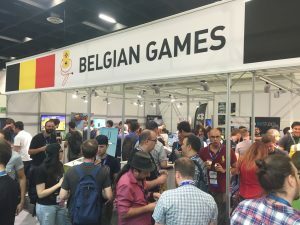 Our members had a chance to show off the latest builds of their games, receive valuable feedback and meet with possible future partners and investors. They also enjoyed coverage from both the specialised gaming and mainstream press. Articles were published in well-respected print media like Le Soir, De Tijd, L’Echo and Het Nieuwblad. Television coverage came from KanaalZ (Dutch) and RTBF (French). 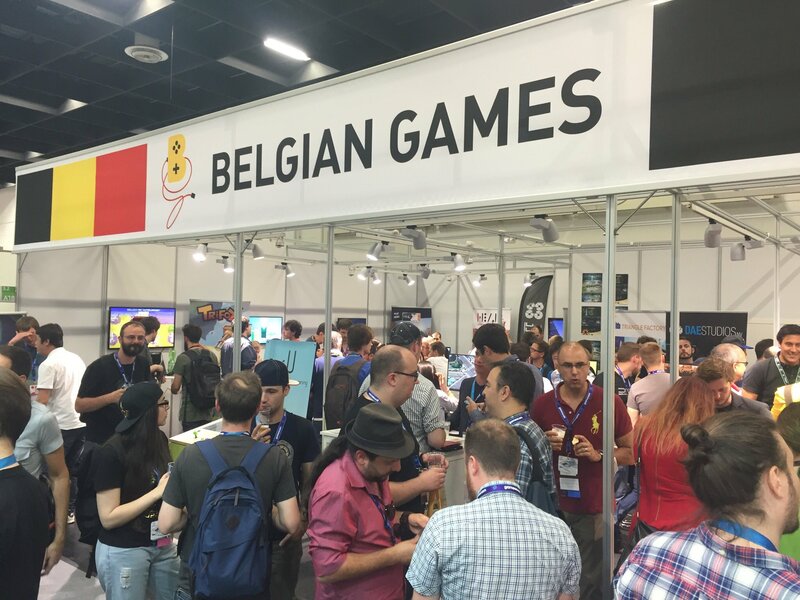 Our Belgian Beer Cafe was also a huge success, with more than 400 visitors happily toasting to the Belgian Games Industry. Gamescom itself enjoyed a good year as well with roughly the same amount of visitors as last year (345,000 people from more than 97 countries). The number of exhibitors is still going up considerably year after year: from 806 last year, to 877 this year. FLEGA and its partners would like to thank everybody that dropped by at gamescom. Please enjoy the pictures below and it goes without saying that we hope to see you all again next year! Swen Vincke of Larian Studios visited our booth to show his appreciation for LuGus Studios’ Liftoff. 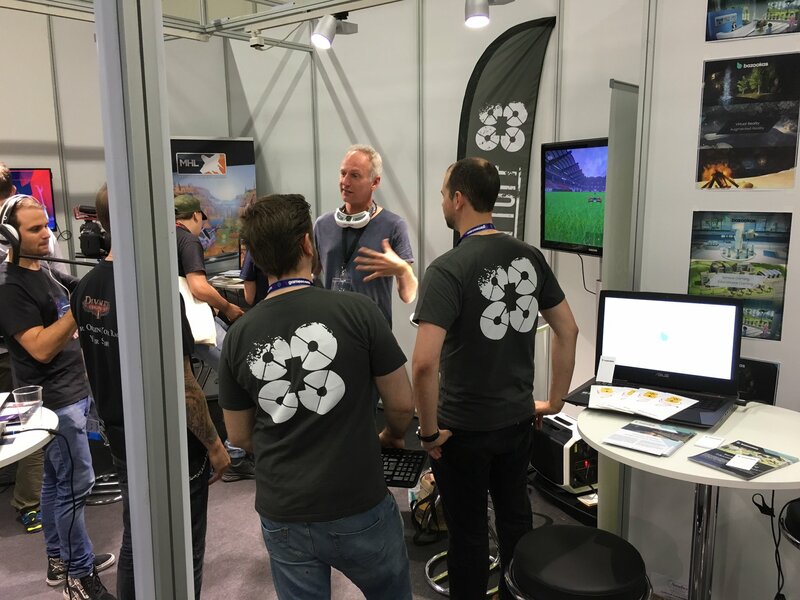 Throughout our three days at gamescom, we enjoyed a constant stream of interested visitors. 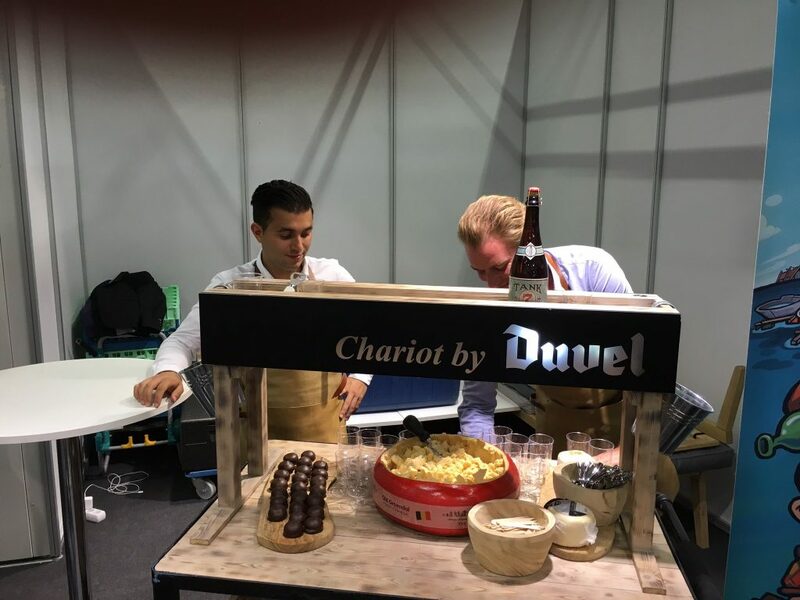 No Belgian booth is complete without quality beer.